Click anywhere on the designs or image to open up a new comment. 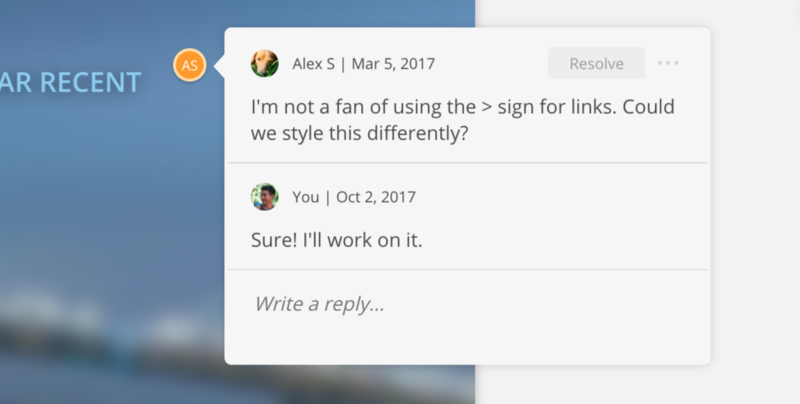 Comment badges have the original commenter’s initials on it. If you click on one, the comment callout will open up to show the comment thread. Open the comment callout, then click and hold to drag the badge to a new position. Each list item can have multiple comment threads on them. To create a new thread, hover over the right side of a List Item, then click on the Comment button that fades in. 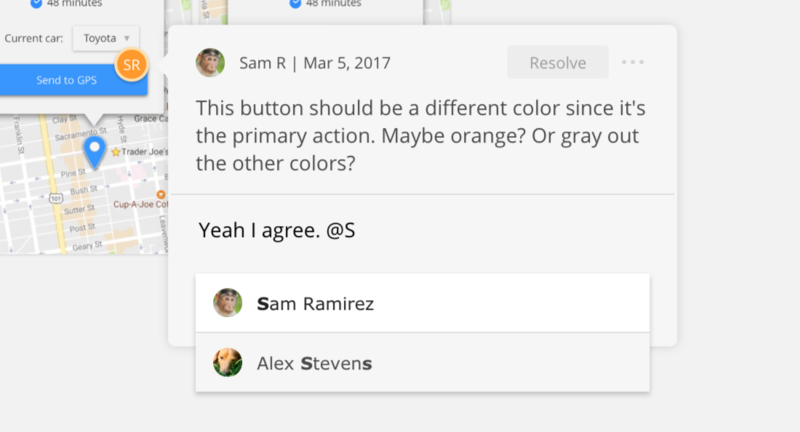 Once you finish your comment, the List Item will show the number of distinct threads. Click on the number to open the comment threads. Resolving comments is a nice way to clean up any past conversations that you don't need anymore, without deleting them. 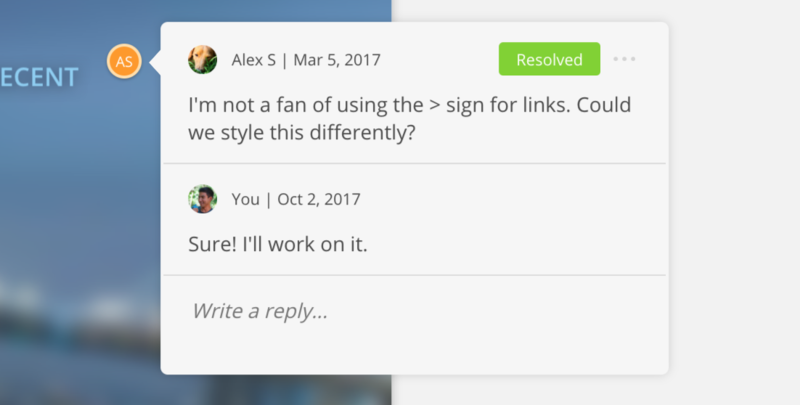 When you click the Resolve button at the top right of a comment thread, it will change to a Green "Resolved" indicator. If you click this again, the thread will go back to active. After resolving a comment and clicking outside of the thread, the thread will close and the comment badge will be hidden. To see previously resolved comments, you can use the Comments View in the left navbar. You can mention other project members by typing “@”, then start typing their name. They’ll receive a notification that they were mentioned. Click on the trashcan next to any comments that you create. If your comment is the first comment in a thread, the whole thread will be deleted. Owners can delete any comment, but if you’re an Editor, you’ll only be allowed to delete your own comments. If there’s a comment on an artboard in your Sketch Card, and you cut and paste that artboard somewhere else in Sketch, the comment will be deleted the next time you sync.